If someone asked me to summarize myself, I’d probably say that I’m a life-long student – an avid reader and someone who knows that things can always be made better – a lot better. Some recent experiences have got me thinking about our approach to designing and implementing Flowcasting-like solutions for our clients. First, what has made our approach so successful? It’s really an obsession with simplicity and a deep understanding that instilling new behaviors is about people and process. At the heart of the approach is what we call a process lab, or process prototype. Think about how successful products are created. They are designed. Then a prototype is created. Then it’s tested. Then it’s revised. Prototyped again. Tested again, and the process continues until the product sees the light of day. Why can’t a process change also be prototyped? It can and we do. We work with teams to design new processes and workflows on paper then build a lab-like environment and prototype the process with real end-users. It helps people see and feel the process first-hand, and also provides us critical early feedback on the process – how it works, what people like, what they struggle with, where it can be improved, etc. It’s all consistent with our belief about change – that people rarely believe what you tell them, but they always believe what they tell themselves. On our recent implementation of Flowcasting for a hard goods retailer in Western Canada, I was fortunate to experience what could be described as rapid prototyping, with respect to the technology solution. To set the stage, the Flowcasting solution we used was an early and immature solution. However, the fundamental foundation and architecture, along with the retail focused functionality was second to none. Of course, even though we designed and did our prototype lab work with the team and users, a number of things emerged that we needed to revisit as we made the journey. As luck would have it, we were working with the actual architect of the solution and, over a couple of months, we made some important and elegant revisions to the solution that improved it considerably. Essentially we did a series of small, software-focused prototypes (to support our process thinking, of course) that were quickly designed, tested then deployed. It was one of the most exhilarating experiences I’ve been involved in and I’ve been doing project work since the dawn of civilization (at least it feels like that!). The result was equally impressive. Even though the RedPrairie Collaborative Flowcasting solution was already an excellent one, the changes that were prototyped and implemented transformed the solution into something special and unique. 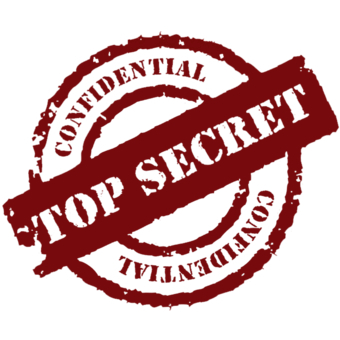 In my professional and expert opinion the solution solves all the major retail planning challenges, is intuitive, scales like stink on a monkey and is so simple that even an adult can learn and use it. Even. An. Adult. Not long after this experience I read an interesting book called Scrum – about an approach for designing and implementing new technologies that relied on rapid prototyping. The basic idea was to design things quickly, make the changes, test it and demonstrate it to people and adjust accordingly. Then rinse and repeat. Boom! It was essentially the approach that we’d used so successfully to transform the Flowcasting solution. And, it got me pondering. Why wouldn’t we apply the same thinking to our implementation framework? After all, the idea of a process prototype was not foreign to us – in fact, it’s a cornerstone of our approach. The idea would be to do shorter bursts of design and lab work, then engage the users, get them to work with the process, and provide feedback and adjust. I have no idea how many of these micro-prototypes we might need but the approach could be flexible to have as many as required – depending on the magnitude and scope of the change. I really like the idea and hopefully will test it soon. We’re working with a great bunch of folks at a Canadian retailer and hopefully we’ll get the opportunity to help them with the implementation. If that happens, I’m sure we can leverage this thinking and incorporate it into our approach. It will be like prototyping the prototype. It’s hard to believe that nearly 10 years have gone by since Flowcasting the Retail Supply Chain was first published. Mike, Andre and I had the manuscript nearly complete before we turned our attention to figuring out the title. I figured it would end up being something boring like ‘Retail Resource Planning’. Then, Andre got us both on a conference call to tell us that he came up with a title for the book: ‘Flowcasting’. For reasons I can no longer remember (or maybe perhaps because it wasn’t my idea), I immediately disliked it. 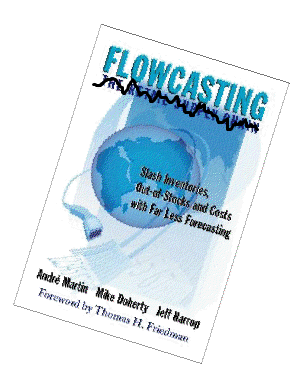 We went back and forth on it for awhile and as time went on, the name ‘Flowcasting’ grew on me. Then I came up with the idea that we should be more descriptive about the process. It’s a new concept for managing the retail supply chain, right? So, we should call the book ‘Flowcasting the Retail Supply Chain’! Now I wish I had just listened to Andre and left well enough alone. To be sure, the supply chain operational and planning changes are significant – but that’s just the beginning. To make Flowcasting successful, the mindset changes in other areas of the retail organization can be just as revolutionary. Historically, the buyers in a retail organization were (and in most cases still are) just that: ‘people who buy stuff’. Their primary accountability is growing sales in their categories, and the conventional wisdom is that the best way to increase sales is to have a lot of inventory. If you think you’re going to sell 10,000 units on an ad, then you buy 20,000. Flowcasting turns this notion on its head. Because it is always accounting for all inventories in the supply chain and replanning every day based on the sales forecast, ‘Buyers’ must learn to become ‘Category Managers’ who focus on their key accountability: generating demand and providing input to the sales forecast. The change management implications of this change cannot be overstated, as this can be viewed as taking away their control of a key input to their overall success. Similarly, buyers are accountable for maximizing gross margin on their lines. When negotiating case packs and ordering minimums, they may be inclined to choose the option that gets them the lowest overall cost per unit. But this can be very costly to the business overall if these constraints make it impossible to flow product to the store shelf, particularly for lower sales volume stores. High gross margin doesn’t necessarily equate to high profitability for the business as a whole if folks in the merchandising organization haven’t been given the tools and accountability to think holistically about the supply chain. Two decades ago, the retail supply chain was distribution centres and trucks. A few years ago, the thinking began to evolve to include the retail store as part of the supply chain. Now, we are finally starting to think of the supply chain as linking the factory to the customer’s hands. Most retailers measure store ‘in stock’, but what’s meaningful to the customer is on shelf availability (meaning that if a store has 10 units in inventory, but it’s stuck in the back room somewhere, it’s an ‘in stock success’, but a failure to the customer). One of the biggest questions retailers face is ‘How much autonomy do we give to the store?’ While it’s true that each individual store is closer to the market they serve than the folks at home office, does this mean that giving every store manager a stock ordering screen to use at their discretion will automatically increase customer service? In my experience, the only things it increases with regularity is inventory and confusion. If stores are focusing their energy in these areas, it doesn’t guarantee perfect on shelf availability for the customer, but it makes it easier to trace back where the process is failing and make corrections when there are fewer fingers in the pie. Flowcasting isn’t just a different calculation for coming up with an order recommendation. It’s a fundamentally different way of operating a retail business. As such, it requires a different skill set and mindset to manage it. While it might be tempting to fill an open replenishment position with someone with replenishment experience at another organization, you could be trying to fit a square peg in a round hole if her prior experience is with traditional reorder point or push methods. In fact, you may have to invest more time with ‘untraining’ than you do with training. To be successful with Flowcasting, a person needs to be organized and possess decent problem solving skills. Other than that, no specific ‘experience’ is required – in point of fact, it could actually prove to be a detriment. It’s the first question any self respecting project leader or consultant asks on day 1 of a new initiative. It’s critically important to know the ‘state of the nation’ before you embark on any sort of effort to make the changes needed to improve results. After asking this question, you set about the task of learning the current practices and procedures and documenting everything to a fairly low level of detail (along with the most common variations on those practices that you’ll almost always find in companies of any size). For non-promoted periods, our purchasing is mostly automated with a short lead time, but we buy promotions manually with a longer lead time from the vendor. Our stores ‘pull’ product in non-promoted weeks, but for big events like promotions and shelf resets, we ‘push’ the product out to them . The system will recommend orders, but our analysts review all of the recommendations beforehand and have the ability to cancel or modify them before they go out to the suppliers. After a few weeks, you’ve become a pseudo expert on the current state landscape and have everything documented. Now it’s time to turn this retailer from a reactionary firefighter into a consumer driven enterprise. And that’s when you make the biggest mistake of your life. After summarizing all the current state practices with bullet points, you save the document with the title ‘Future State Requirements’. You don’t know it at the time, but you’ve just signed yourself up for years of hell with no light at the end of the tunnel. If it’s any consolation, you’re definitely not alone. At the time, it seems like the path of least resistance: We’ll try to do this in such a way that we don’t disrupt people’s current way of doing things, so they will more easily adopt the future state. But if you’re moving from a ‘reactive firefighting’ current state to a ‘demand driven’ future state, then disruption cannot be avoided. You might as well embrace that fact early, rather than spending years of time and millions of over-budget dollars trying to fit a square peg in a round hole. Why does this practice exist? Because, generally speaking, the sales volume (and corresponding order volume from the vendor) for a promoted week can be several times higher than a non-promoted week. So what’s the actual requirement? The vendor needs visibility to these requirements further in advance to make sure they’re prepared for it. Cutting promotional orders in advance is the currently accepted way of skinning that cat – but it’s by no means the only way. Why does this practice exist? More often than not, it’s because the current processes and systems currently in place treat ‘regular planning’ and ‘promotion planning’ as distinct and unrelated processes. What’s the actual requirement? To plan all consumer demand in an integrated fashion, such that the forecast for any item at any location represents what we truly think will sell, inclusive of all known future events such as promotions. Why does this practice exist? 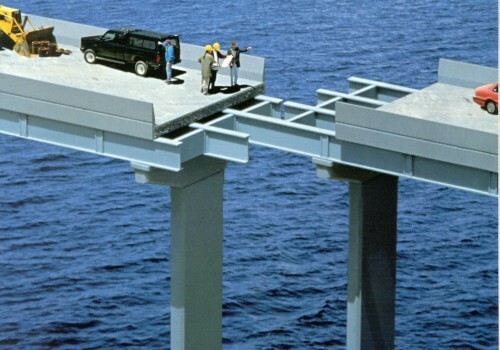 Usually, it’s because the final order out to the supplier is the only ‘control lever’ available to the analyst. What’s the actual requirement? To be able to exert control over the plan (items, locations, dates and quantities) that leads to order creation, allowing the actual ordering step to be an administrative ‘non event’. So, once you’ve identified the true requirements, what’s next? A lot of hard work. Just from the 3 examples above, you can see that there are several change management challenges ahead. But at least it’s hard work that you can see and plan for ahead of time. Woe to those who choose what they think is the easy path at the outset only to suffer the death of a thousand surprises after it’s far too late. Check out the big news from JDA on their next generation Flowcasting solution. Being able to plan for slow moving SKUs using the same process as fast moving SKUs is ENORMOUS. Toward the bottom of that press release is a link to a great whitepaper by ChainLink research called ‘Making the Change: Overcoming Obstacles and Myths in Adopting Flowcasting‘. A simple signup is all that’s needed to get your hands on it (as well as other great content). Highly recommended reading.